How do you support customers and your customer support team? Easy: Create a flawless customer experience with the best helpdesk software. Remember when the company was king? Today it’s the customer that wears the crown — and customer service has become a key driver of business success. So let’s stop thinking of support as a cost center, and start recognizing customer service for what it is: an opportunity waiting to happen. Here are seven customer service principles that can help you transform your support operations and deliver the best experience every time. 1. Support customers as a team. Customer service is a team sport — and not just for your customer support team. Train every employee on your helpdesk software so they can all pitch in when times are busy. Sure, you’ll want to pass highly technical cases to the experts, but everyone needs to be able to help out. Successful startups can tell you that when everyone spends time on the front lines, it’s easier to stay aligned around customers and maintain service levels when things get busy. 2. Listen to customers (and share their feedback). Encourage service agents to ask questions when interacting with customers. The more your agents know about your customers and their needs, the more of an asset those agents are to both your company and your customers. Your customer support team can also be an amazing source of product innovation. Some successful startups have the customer support team present customer feedback at every company meeting. 75% of customers believe it takes too long to reach a live agent, and no one likes talking to a robot. So show your customers you aren't a machine. Encourage agents to add personality to their emails. Or to fill the quiet time when they need to pull up account information by asking customers how the weather is or who their favorite sports teams are — basically anything that adds a personal, friendly face to your support operations. 4. Be honest about what you don’t know. Nobody likes a know-it-all (especially a know-it-all that doesn’t actually know it all). If your agents aren't sure how to troubleshoot a problem, it's okay for them to let the customer know they’ll get in touch with the right person and circle back when they have an answer. Maintain an open dialogue with your customers and keep them informed at all times; it’ll earn your customer's respect and commitment. In today’s often impersonal world, empathy has become a competitive advantage. A company cannot be successful with a culture of apathy. Your service agents especially must master the lost art of empathy to deliver effective customer service. Ask agents to put themselves in the shoes of the customer when working on a case. Their empathy will show, and customers will appreciate them for it. The more your customer support team knows about your product, the better they’ll be at servicing it. Make training a key part of your customer support operations. 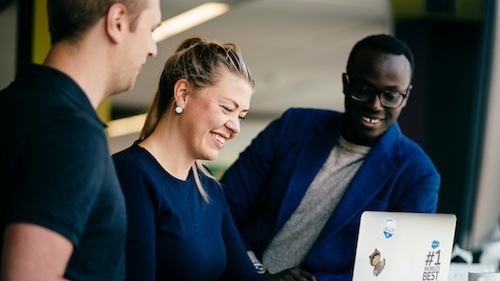 Some companies onboard every new employee — not just their sales reps — with a one week product bootcamp to ensure they know their products inside and out. Be sure to prepare them for every new release, too. 7. Remember every second counts. Customers hate to wait. So give your agents the helpdesk software they need to support customers as efficiently as possible. After all, reducing the time it takes to assist a customer directly reduces the time other customers must wait, too. At the same time, be sure to motivate agents to solve each problem completely; speed is important, but resolution times should never trump customer satisfaction (CSAT). Ready to fully support customers? 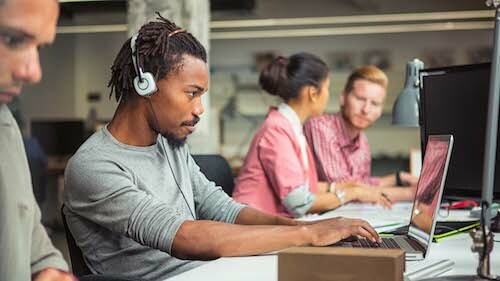 Use these customer service principles with helpdesk software from Desk.com to deliver an unbeatable customer experience, starting now.